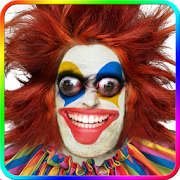 Prank app can be used to have fun and make jokes. This application has no limits, so you can choose freely what you want to get to know about. The joke application pretends to decipher a person and then it displays a random result from among the words entered by you. The process of checking the results looks really spectacular. You can entertain your friends this way and make fun of them. – Run the application and write e.g. : pretty, ugly, smart, bad, coward in it. – Click „scanning” and hold your phone horizontally. – Aim your phone at a person. If the person is too far away and the scanner does not detect them, use the slide control on the side, until the scanning field appears on their face. The prank app utilizes the camera’s face detection function and zoom. The funnier the answers you enter, the bigger the fun. Below there are a few examples of what can you enter to have a lot of fun. Don’t enter the questions, only the answers. – What are your friends hiding? E.g. smelly feet, bad breath, they pick their nose, they don’t brush their teeth, they burp, fart, have dandruff, have worms. – Which cartoon character are you? – Which celebrity is your look-a-like? In case of any problems with the effect of prank app, instead of giving us the negative opinion, please send us an e-mail and review briefly the problem. It will help us to solve it in the next updates of app. Prank app is free but contains ads inside app. Revenue from advertising will help us to create new attractive wallpapers and applications. All permissions are required only for advertising and are supported by trusted vendors.